NEW CLASSES WITH the NYBG! In this intensive one day workshop we'll start with a tour of the gardens led by the garden curators of the NYBG! After the tour we'll break for lunch then head inside for a few hours of floral arranging. Taking inspiration from our magnificent surroundings we'll make lush, wild arrangements that evoke the nuances of the cutting garden. We'll be using peonies, lambs ear, columbine, bearded iris, alliums, clematis, scabiosa, herbs, young blueberry, astilbe, dogwood as well as some very special cuttings from the grounds of the garden! This will be an evening class held at the midtown NYBG studio. We'll focus on the delicate fragrant flowers & foliage of spring. We'll be using lilac, lily of the valley, sweet pea, hyacinth, peonies, jasmine, garden roses, muscari, rose geranium and more to create romantic arrangements layered with the textures & scents of Spring. FOR MORE INFO AND REGISTRATION CLICK HERE! *Please note: Registration for these 3 classes is through the NYBG website. 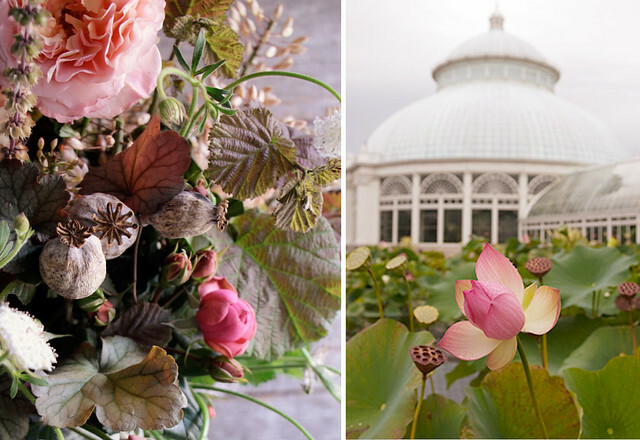 *Flower School gift certificates do not apply to classes held at the NYBG.